At Events By Melody, our mission is to provide a beautiful event at the best rate possible! And that's exactly what we strive to achieve here. We offer a full range of services to ensure that your special day flows beautifully. We specialize in everything from coordination and planning to catering and limousine services; whatever you need for your moment, we offer it through our all-inclusive packages. Please take a moment to explore our website and see what we can do for you! First of all, you can't beat the price of a one-stop shop! Whatever I didn't have she was right there to provide it. I had a vision and she made it come to life. Very professional and sweet. Everything came out nice based on great communication. Highly recommended !!!! You will definitely get more bang for your bucks. Thank you so much again!!! Your wedding day will be one of the most important days of your life. So with that being said, you want it to be perfect in every way. Our inclusive services range from DJs to catering and more! The result? A monumental occasion to last for a lifetime! Weddings are far from our only specialty. From birthdays to family reunions and anniversary parties; whatever you have in mind, we can make it happen. With a rich variety of amenities, you'll be provided with every necessity and possible luxury you may need. Part of the allure here at Events By Melody is the amazing amenities we offer. We're truly a one-place-does-it-all planner which makes the experience for brides and clients alike more affordable and less stressful. We're partnered with some of the best vendors out there that specialize in hair, makeup, event coordinating, music and so much more. After all, what's an event without the decor and magic? 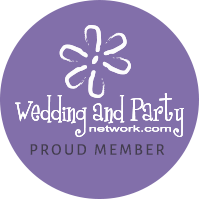 So whether you're needing a DJ, catering, or wedding officiant, we can make it happen here at Events By Melody.